As I posted on my Facebook page earlier this week, I've been feeling a little grumpy and out of sorts the past few days "...for many and any number of reasons." One contributing factor is the media. The constant barrage of tragedy and fear mongering has become rather overwhelming. Yes I realize there are troublesome things happening in the world and we should know about them, but the focus is so negatively skewed with no room for hope that I decided to go on a media fast. Mr. Rogers' Mom used to tell him to "Look for the helpers..." I think the current media has forgotten about this part of balanced news coverage. I know you are out there helpers, and I thank you. So news from newspapers, TV and radio are off limits for a while. Sadly, it seems tragedy can find it's way to you in other ways and today I realized something more proactive is necessary. This morning I spent some time organizing my writing folder and I stumbled upon something I'd written after my mom's passing three years ago. I would have liked to have posted it yesterday, the day that would have been her 76th birthday, but I thought I'd share it with you today instead of waiting another year and forgetting about it again. Though all of the words may not be original, they are certainly true. Since this is supposed to be a photo blog I thought I'd share one of my favourite photographs of my mom. 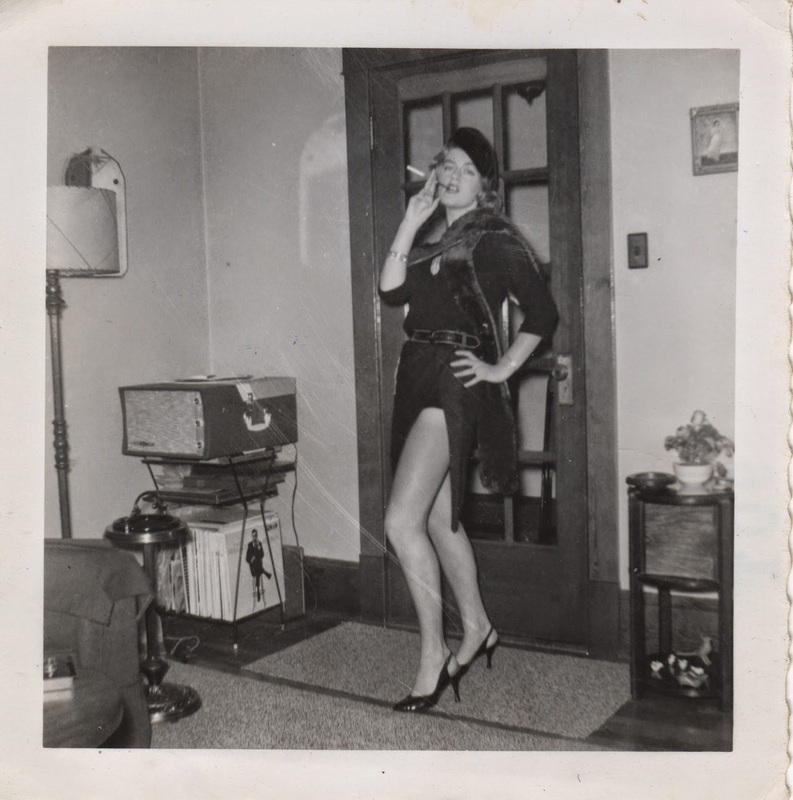 She's dressed up for one of the many costume parties she enjoyed attending (circa 1960). Wish I'd inherited those gams! make up: Don't leave the house without lipstick. Someday you'll have kids just like you. There's nothing like a group of women friends. is mean spirited and unkind. When you buy cheap, you buy twice.